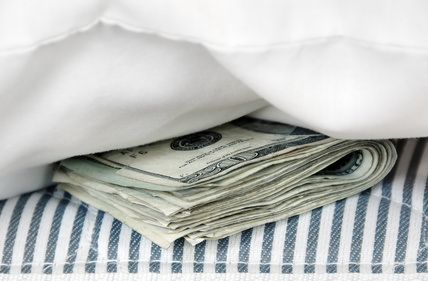 Find Money in the Bedrooms of Your Minneapolis Duplex | Your best resource for buying, selling, owning and investing in duplexes and duplex homes. I spent much of the weekend showing duplexes. Nothing unusual in that really. But what was noteworthy about these excursions is I was once again reminded of the importance of bedrooms. Yes. I had two separate buyers. Both were looking to owner occupy a duplex, both planning on using FHA financing, interested in southwest Minneapolis, and concerned as much or more about their portion of the payment as the amount of the entire mortgage payment itself. One buyer was looking in the $300,000 range. The other in the low to mid $200s. As luck would have it, I found properties for each just six blocks apart from one another; same vintage, and many of the same amenities. The two duplexes were priced $75,000 apart; one at $325,000 and the other near the $250,000 point. As always, I did an investment analysis worksheet for each, then carried my calculations one step further to arrive at the share each owner would be responsible for after rental income from the other unit. I was surprised when I realized the more expensive property would cost my client just $100 more per month than my other client would pay for the less expensive property. And that amount was due exclusively to the difference in property taxes. Meanwhile, the $300,000 plus property was almost 400 square feet bigger per unit, with bigger kitchens and fireplaces. Why was it so inexpensive to buy so much more? The more expensive unit had three in each unit. The other just two. The additional bedroom resulted in $400 more per month in rent from the tenant, which reduced the portion the buyer would have to pay himself in rent. The added income also helped him qualify for a more expensive property, as a buyer may count 75 percent of a property’s rental income as his own. The third bedroom also meant he could have a roommate, and still have a space left to use as a home office. A roommate’s rent and help with utility payments would result in the owner paying less “rent” to himself to live in and own a bigger, more expensive property. Of course, too much of anything is never a good thing. Five bedrooms in a largely residential area do not necessarily make a duplex better still. Most tenants, except students and families, have no desire to live with that many roommate’s. However, this arrangement near a university may well be ideal. However, in this instance, one more bedroom in each unit made all the difference.